We wish to provide our clients with a pleasant payment experience. Let us know what you think about us by leaving us a review. Do you know anyone who could benefit from our care? 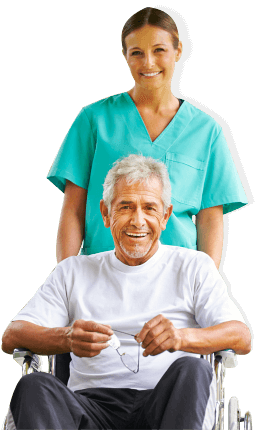 Provision Home Care Inc is the one you can always depend on for quality home care services in St. Louis, Missouri. It is our goal to provide timely and caring assistance right in the comforts and serenity of your own home, especially during this time when you have difficulty in caring for yourself. Our trusted and sympathetic caregivers will make you feel comfortable, loved and stress-free by providing the highest level of care possible. To provide quality health care to the people and communities we serve. We believe that health care is a basic human right. It must be available, coordinated, and monitored to promote healthy lifestyles. We can better assess your needs in person. Are you interested in being a part of our care team? Learn which areas we provide our services to. We can provide 24-hour care, 7 days a week to clients who need it. When doing your personal task becomes difficult, we will be there to help you. We will help you take care of your loved ones while you take a break. We will be there to help take care of you and your beloved home. Take a look at the other services we have in store for you and your loved ones. Get to know more about us from the point of view of our clients. Read through our testimonials page and get a better idea. Discover how our care team came to be. If you wish to learn about us and the different kinds of services that we provide, please don’t hesitate to contact us through the information we’ve provided.